Selling a Business? Don’t Get ‘Sandbagged’! 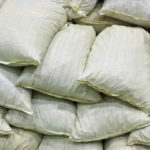 In the context of selling or buying a business, the term “sandbagging” refers to when the buyer in an acquisition agreement (asset purchase agreement or purchase and sale agreement) seeks post-closing indemnification for breaches of representations and warranties that the buyer was aware of prior to signing the acquisition agreement, or in some cases, closing the… Finish Reading Selling a Business? Don’t Get ‘Sandbagged’!